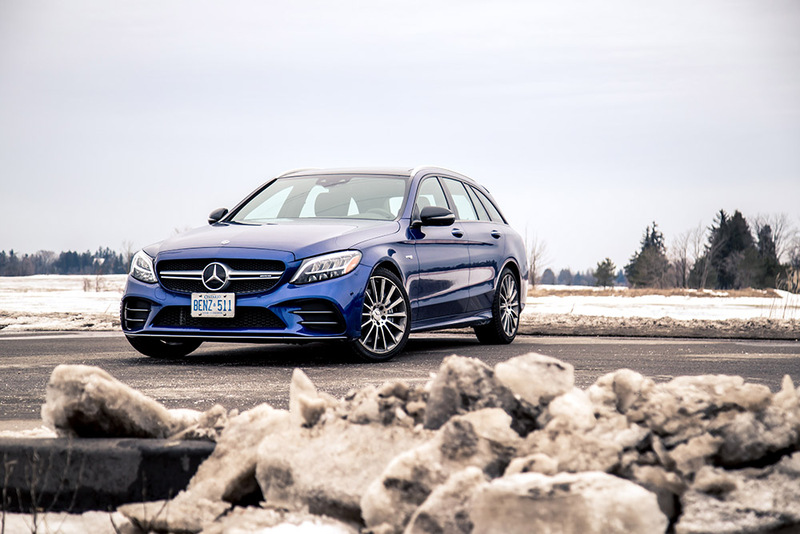 The C-Class is the bread and butter of the Mercedes-Benz arsenal, and the lineup is diversified enough that you can have your C in any specification you desire. 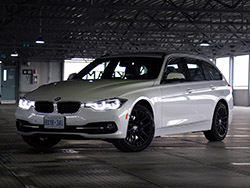 Want a fuel-efficient four-cylinder engine? You got it. How about a blood-pumping biturbo V8? There’s that too. Better yet, the C-Class is available in four distinct body styles: sedan, coupe, convertible, and wagon. 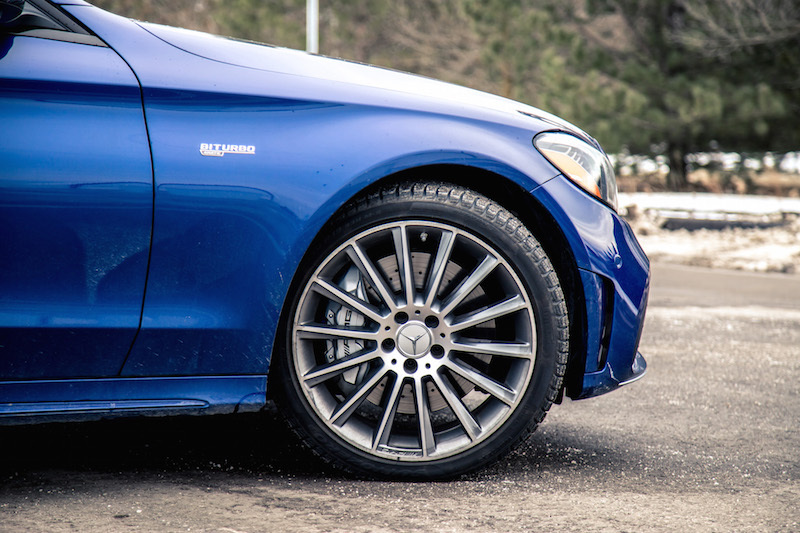 We have always been fond of the C-Class. 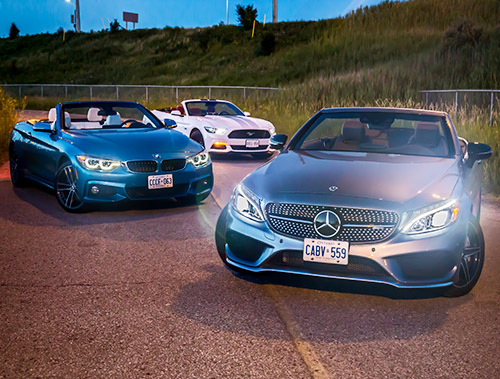 We had a white 2012 C 250 4MATIC Sedan in our personal garage for a few years, and the C 43 AMG Cabriolet even won our sports convertible comparison against the BMW 440i and Ford Mustang. 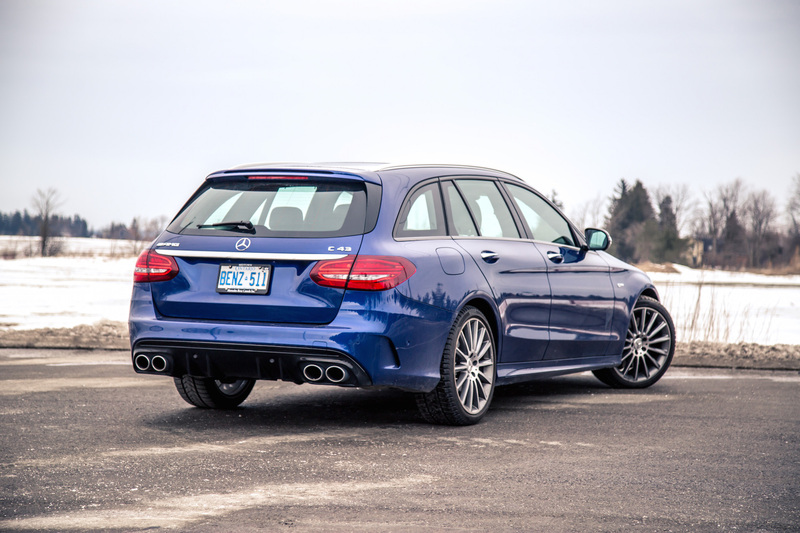 But we’re here to talk about the new C 43 AMG wagon, one of the few vehicles that are sold in Canada but in the USA. 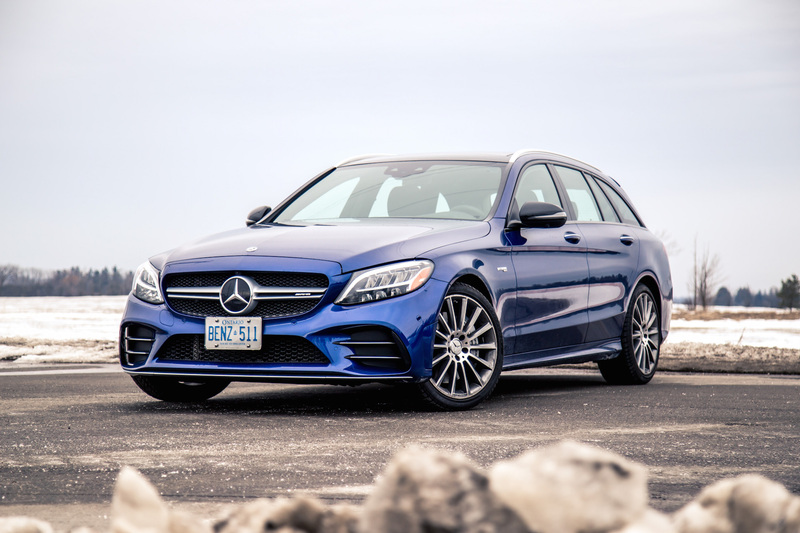 It may have been a controversial decision considering the generally low demand for wagons in North America compared to Europe, and Mercedes-Benz Canada representatives aren’t exactly keen on releasing sales data either. While I’m certain there’s a market for it, though small as it may be, I’m rather surprised they took the gamble. 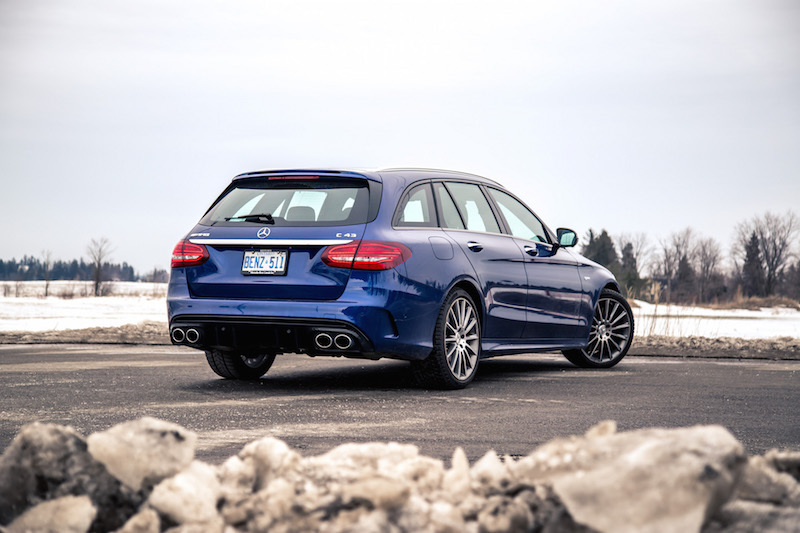 I personally love wagons and for Mercedes to justify selling a C 43 Wagon here in Canada and not the States, must amount to some sort of validation. 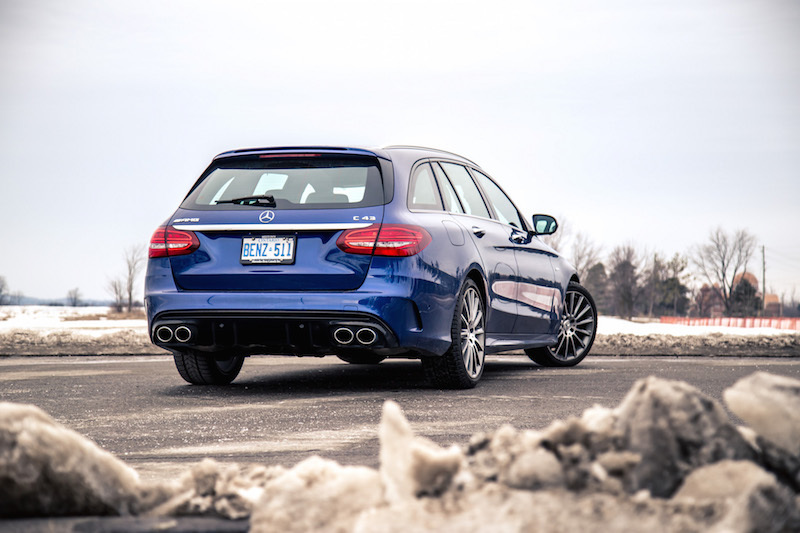 Wagons aficionados are far and few between, and only a handful of automakers in Canada offer them: Volvo, Volkswagen, and Subaru to name a few. 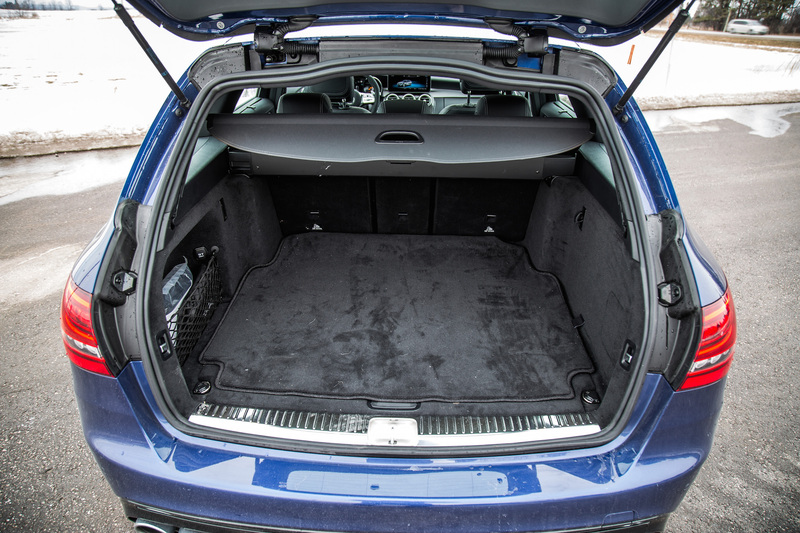 But wagons offer some of the best interior packaging, satisfying driving experiences, and cargo carrying abilities in the automotive domain. They look damn good with their elongated roofline too. The easy answer for a buyer looking for all the above is the GLC, the silver arrow’s compact SUV that sits higher up and offers an illusively superior sense of safety. If you are in the market for one, great. But don’t buy a GLC until you sit in a C-Wagon first. There are a few reasons why. First, the looks. 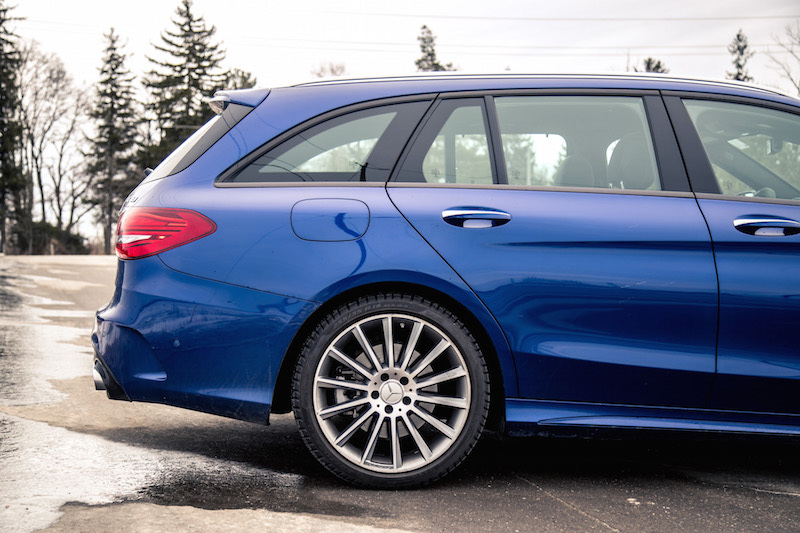 The C 43 Wagon is easy on the eyes with a sleek silhouette and soft shoulder lines but it doesn’t appear immature or boy-ish. It’s better proportioned than the GLC and doesn’t look like it’s wearing uncomfortable high heels. 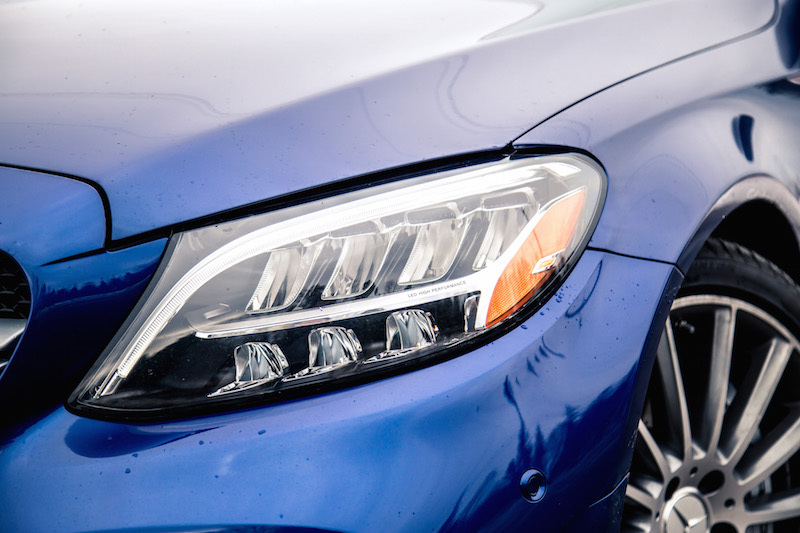 The C-Class lineup receives new headlights for 2019 that give it a more three-dimensional look, and the 43-series models are now equipped with the twin-louvre front grill previously reserved for the 63-series models. The GLC 43 has yet to receive these updates. I really dig this new design language though and the hierarchy of how to distinguish the AMG models. The outgoing C 43 was incredibly hard to tell apart from the C 300 with merely a few body kit changes and the obvious badging on the trunklid and side fenders. The C 43 now appears much more expressive, and it’s easier to differentiate from the C 300 and its single-louvre or diamond grill, and the more expensive C 63 with its Panamericana vertical-bar grill. I’m not so sure about the new quad tailpipes out back though, which are finished in high gloss chrome. That’s because the two real exhaust pipes are both hidden behind that four-pipe facade. Deceiving? Yeah, but it seems to be the trend these days. Check out the Audi SQ5. Fake exhaust outlets don’t get more phony than that, and though the C 43 pulls it off when you gaze from afar, get up close and you can easily tell that those rounded tips aren’t connected to anything except for the rear bumper. For 2019, the C 43 acquires a revised V6 engine with 23 more horsepower than before, up to 385 hp. Torque however remains the same at 384 lb-ft but they have shifted the max torque curve up from 4,200 rpm to 5,000 rpm instead, ensuring a bit more shove in the mid-range. That’s enough for the C 43 Wagon to rocket from 0-100 km/h in 4.8 seconds, 0.1 seconds faster than the GLC 43 though 0.1 seconds slower than the C 43 Sedan. Of note, the GLC 43 doesn’t receive the revised engine until next year. In either configuration, the V6 is one hell of a motor, raw in both character and sound. The mid-range punch is exceptional and really gets this wagon going without any effort from the driver. The C 43 loses its breath rather quickly at the top end but the 9-speed transmission is adept at keeping the needle in the meatiest areas. You still want to rev that V6 to its limit though, as it sounds absolutely incredible with the AMG Performance Exhaust, a highly recommended option as part of the Driver’s Package. I’ve heard the C 43 without that exhaust and it emits a bland, rather uninspiring noise. With it equipped, it sounds otherworldly, delivering a high-pitched wail that’s even louder and more characterful than the CLS 53 AMG. 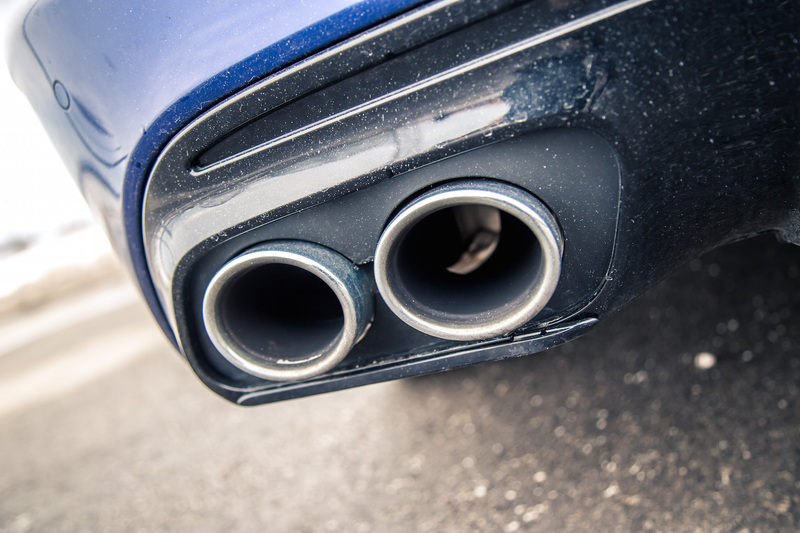 I’d even go on record and say it’s just as loud as BMW 440i’s straight-six with M Performance Exhaust, though not comparable to the BMW’s inherent smoothness in revs and power delivery. 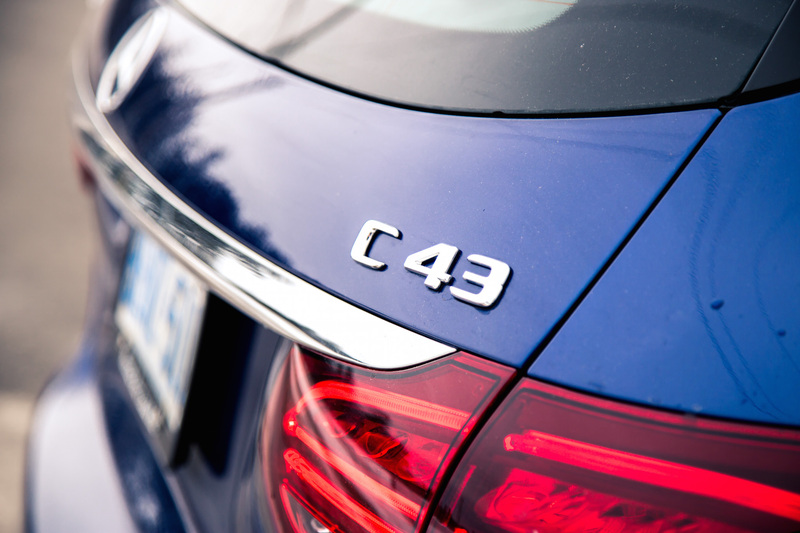 The C 43 is much more turbulent and unrefined by comparison. Speaking of which, don’t expect Mercedes’ new straight-six engine to make its way into the C-Class. We’ve been told it doesn’t fit. One of the main advantages that the C 43 Wagon has over the GLC 43 is the driving experience. The lower center of gravity, lower curb weight, and more aerodynamic design means it drives with more athleticism and emotion. The wagon hugs the road and stays flat around corners without any of that top-heavy lean. The GLC 43 actually comes with an air suspension whereas the wagon rides on a steel suspension, but with adjustable, electronically-controlled dampers and three available settings. To be honest, the differences between the three damper modes aren’t terribly noticeable on city roads but that doesn’t take away from the fact that the C 43 Wagon exhibits stellar road manners and soaks up bumps incredibly well. 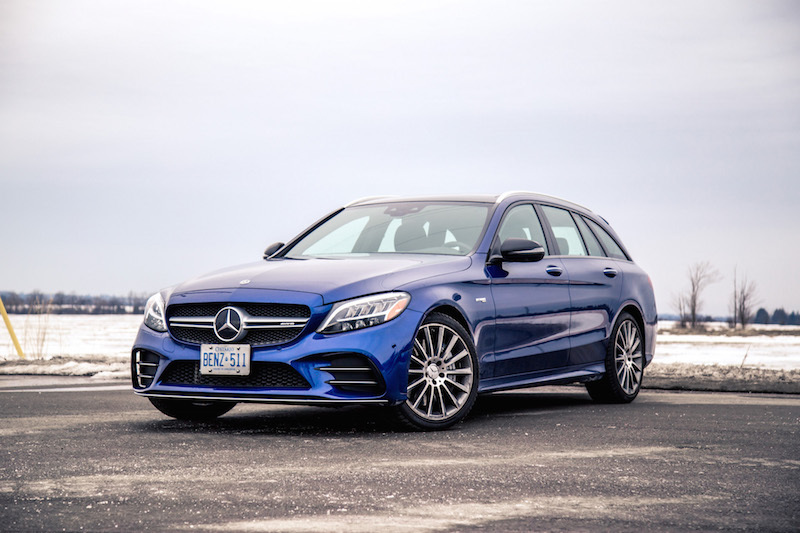 It rides rougher than the boat-like C 300 Wagon but is compliant enough that I would happily take it on a lengthy road trip down south (and to show off this piece of prohibited machinery). A sore spot in the powertrain remains with the 9-speed automatic, a gearbox that rewards fast driving and precise shifting (like a dual-clutch), rather than lethargic and civilian acceleration. There’s a noticeable delay between pulling the paddles and the actual gear shift. You can literally count half a second before it rev matches and swaps cogs, and though we’re not chasing any laptimes here, it becomes a nuisance when driving spiritedly, almost like watching a movie with the audio lagging behind. The movie is still watchable but the lack of synchronization will slowly creep up on our nerves and test your patience. The C 43 also exhibits minor lunging and jerking at low speeds and low gears, something that we have reported with pretty much every other Mercedes with this 9-speed. The C-Class lineup receives a slightly revised interior for 2019, while the GLC will get these updates in 2020 instead. 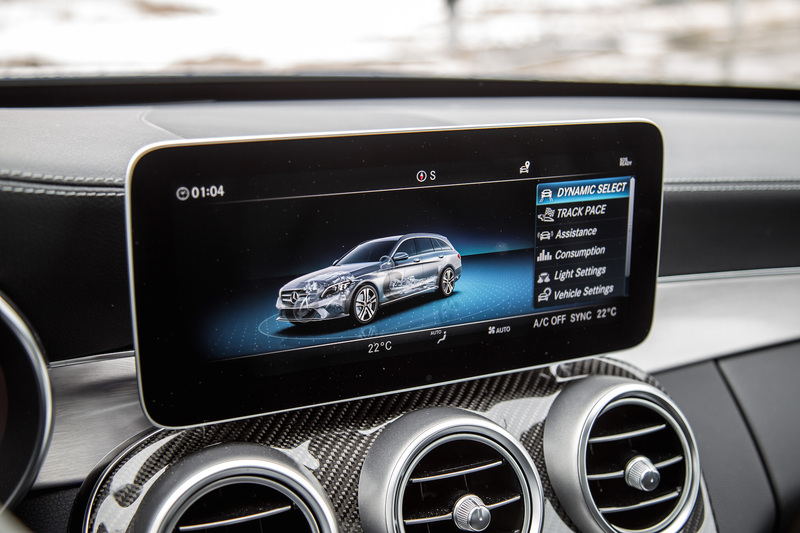 There’s an updated infotainment system and a new widescreen format display, which follows the theme of the transmission in being incredibly laggy. When scrolling through the menu screens, and more notably when summoning pages that take up a lot of memory, it lags with poor resolution and a dip in the frames per second. It’s a shame as the last system was ten times smoother and had crisper graphics. The widescreen implementation does make the screen appear less awkward when mounted on the dashboard, and it feels more cohesive with the interior layout. But if that’s not enough to satisfy the inner technophile, you can equip the C 43 with the optional 12.3-inch fully digital instrument cluster like in the E-Class. 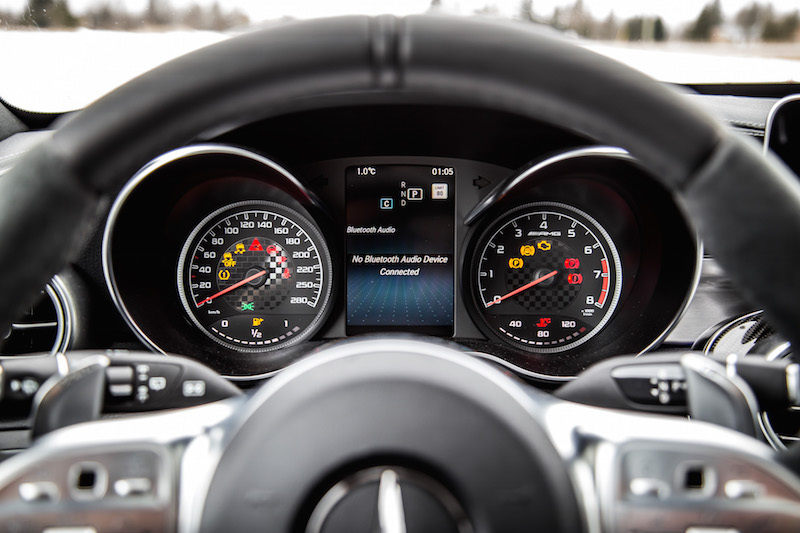 Some neat new features include the glitzy start button that lights up (no more optional key slot ignition), and a specific AMG display menu, where you can view pages of additional performance-related information. It includes a G-Force meter, a race timer that acts as a stopwatch for lap times, and a real-time display of horsepower and torque output. Even the driving mode adjustment menu where you can tailor each setting feels like something out of a Need For Speed video game. It’s the new steering wheel however that ranks on the top of my favourite new additions, and has made it downstream from more expensive AMG models. Even the S-Class AMG uses this wheel design, though with better quality leather on the surrounds and center cap. The contoured rims at the nine- and three-o’clock positions feel like they were molded to my own hands, the galvanized paddle shifters emit a satisfying click when pulled, and the meticulously crafted knobs and dials feel expensive when scrolling and pressing them. 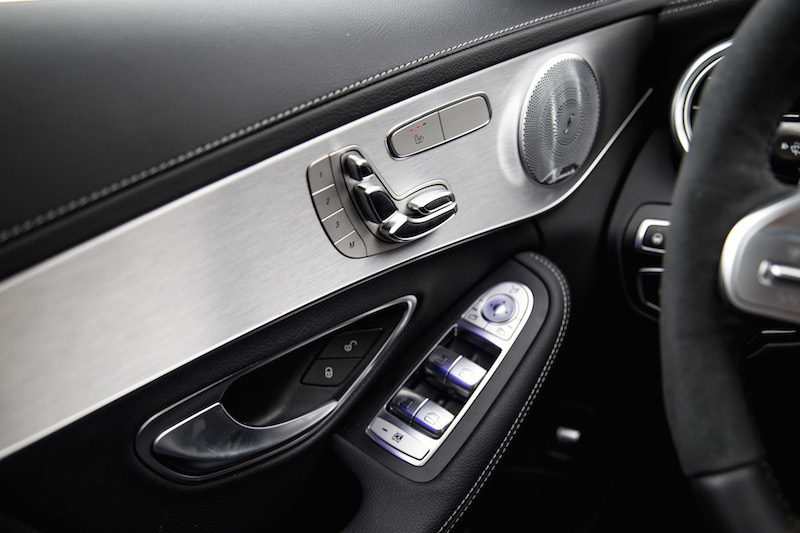 Even the window switches and seat controls on the door panel wouldn’t look out of place in a six-figure sports car, along with the swaths of aluminum, leather, and carbon fibre trim caressing every surface of the cabin. The new wheel also includes two square touchpads on each side that control both the instrument cluster and infotainment screen. It will work even if you have your gloves on, something to keep in mind as the C 43 doesn’t come with a heated steering wheel option. 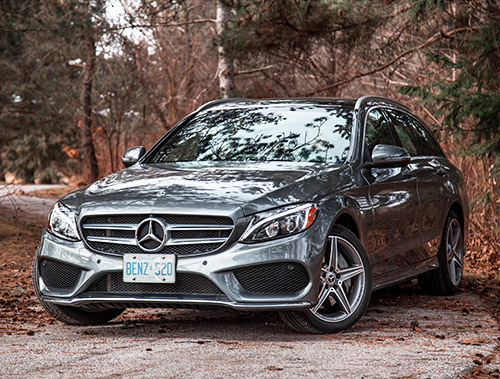 The C 43 AMG Wagon is forbidden fruit in many countries, but Canada is one of the lucky few to grow this delectable tree. 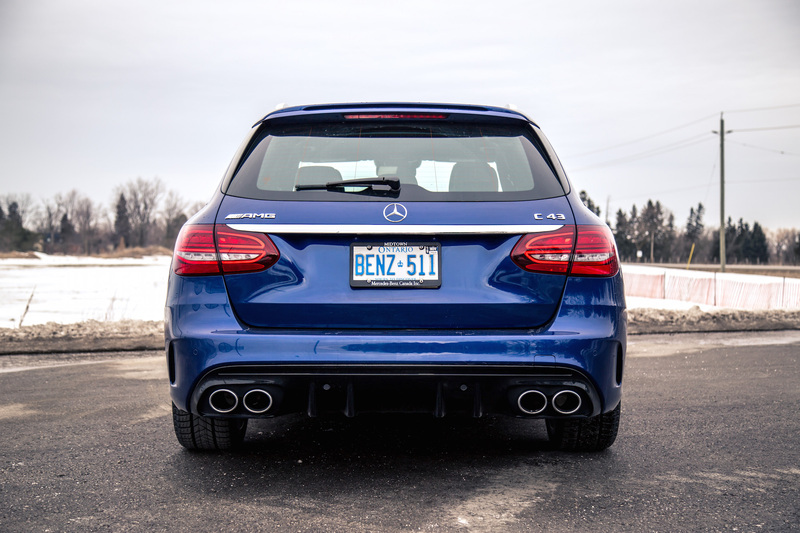 While the C-Class lineup is filled with enticing body styles, the station wagon strikes the bullseye with undeniable practicality, impressive performance, and a wicked exhaust soundtrack. There are a few areas that need improvement, like the rough 9-speed gearbox and laggy infotainment system, but they are not resolute deal breakers. 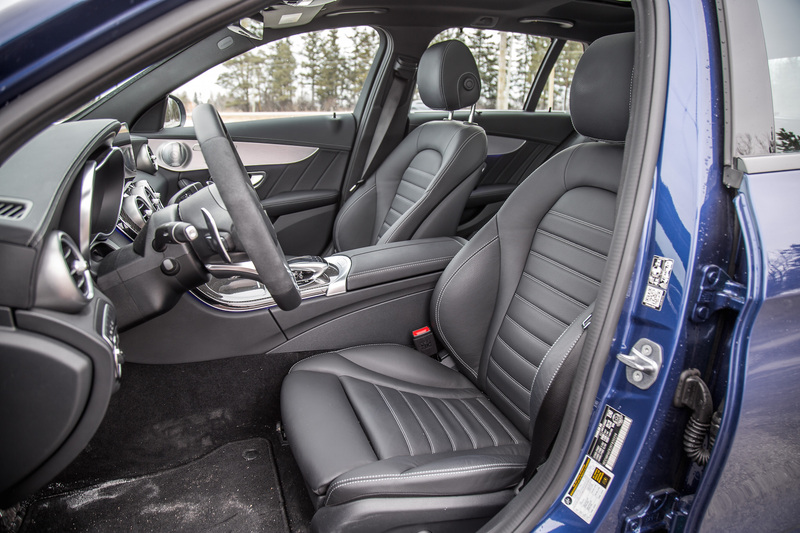 And while the GLC 43 may be more appealing with its higher seating position and overall sense of safety, it costs $2,600 more than the wagon and doesn’t receive the new sheetmetal and interior upgrades until 2020. That, and the wagon simply drives much better. From my experience though, it doesn’t really matter what I tell you. You’re either in the wagon camp or you’re not. 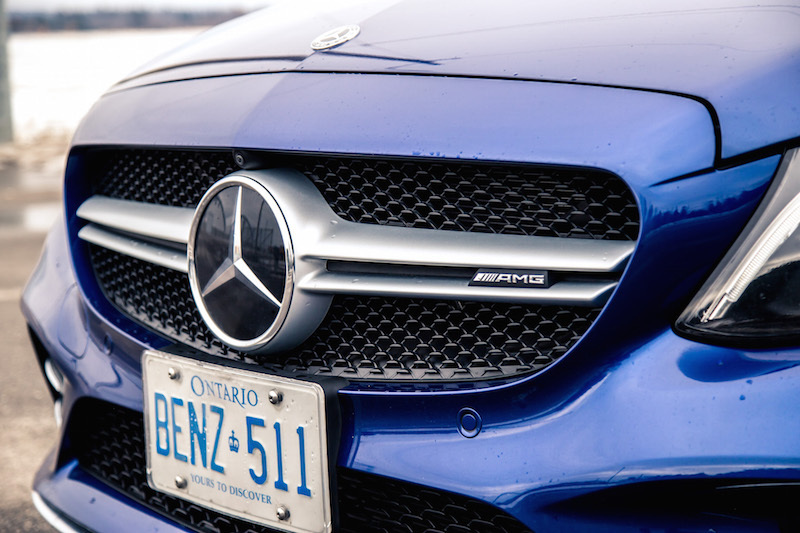 Just know that whatever body style you do end up choosing, the C 43 AMG with its phenomenal V6 engine, sonorous exhaust note, and premium interior, will appease any buyer’s appetite. Review: 2017 Mercedes C 43 Conv.